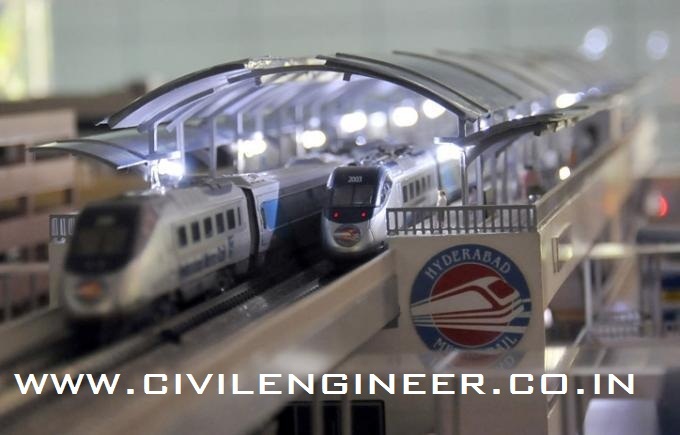 Hyderabad Metro Rail Project (HMRP ) is a fully automated rapid transit system, currently under construction, for the city of Hyderabad, India. It is being implemented entirely on PPP mode, with the state government holding a minority equity stake. The Phase I of the project includes 3 lines covering a distance of around 71 km. The metro rail stretches between Nagole and Mettuguda (8 km) and between Miyapur and S. R. Nagar (12 km) are targeted to be operational by March 2015 as Ugadi gift. 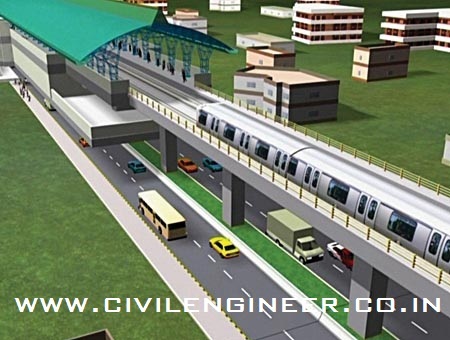 In September 2012, the Indian government has approved Phase II which is expected to start construction in 2013. It includes around 80 kilometers. HMR project has been selected as one of the top 100 strategic global infrastructure projects to be showcased at the forthcoming Global Infrastructure Leadership Forum being held in New York during February–March, 2013. The HMR project is considered to be the world’s largest project under public-private partnership, with investments of over Rs 17,000 Crore. On 12 September 2012, Larsen and Toubro Metro Rail Hyderabad Ltd (LTMRHL) announced that it has awarded tender for supply of rolling stock to Hyundai Rotem. The 18 billion(US$280 million) tender is for 57 trains consisting of 171 cars which will be delivered in phases at least 9 months before the commencement of each stage. On 2 October 2013, LTMRHL unveils its train car for Hyderabad Metro. A model coach which is half the size of the actual coach, is on public display at Necklace Road on the banks of Hussain Sagar in the heart of Hyderabad. The trains will be 3.2m wide and 4m high. There will be 4 doors on each side of each coach. The L&T Hyderabad project will have an automated ticketing system with features such as contactless smart card based ticketing, slim automatic gates, payment by cash and credit/debit card, passenger operated ticket vending machine and provision of common ticketing system. It will also have a provision of NFC-based technology to enable usage of mobile phones as fare media and high performance machine to avoid long queues. Samsung Data Systems India, a subsidiary of Korean firm Samsung, has been awarded the automatic fare collection system package for the L&T metro rail project. The package involves design, manufacture, supply, installation, testing and commissioning of the system. Otis won the contract to supply and maintain 670 elevators and escalators at the 66 stations for Rs 400 crore. Hybd. metro is the best compared to others, planning has been a crucial for this. Hyderabad is becoming the best and will overtake Gurugaon and Bangalore soon.